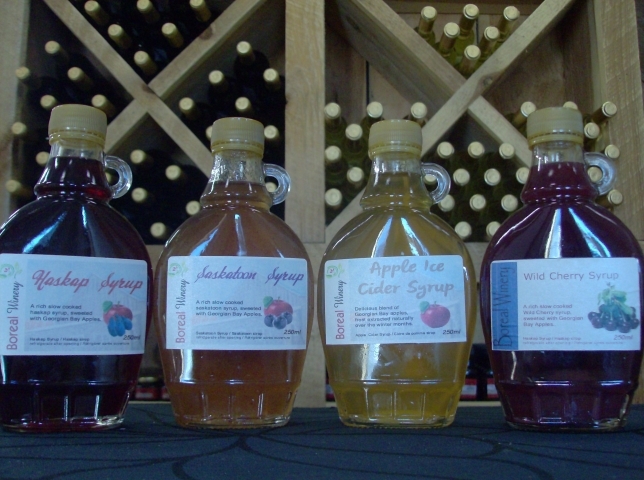 Our popular Ice Cider Syrups. Frost Extracted Georgian Bay Apple Cider, delicately spiced, brewed into an o so apple-y syrup. Rich tasting with intense fresh apple flavour, our Ice Apple Cider Syrup is a favorite over pancakes, waffles, and fruit.